When it comes to fake tan I’ve been around the block. I’ve been using fake tan for over a decade now and I’ve tried them all….. lotions, mousses, instant tans, gradual tans, 1 hour tans, wipes and spray tans. I religiously tan once week regardless of what I’m doing and cover every inch of my body, so I’d say I’m pretty much an expert when it comes to faking that bronzed glow. 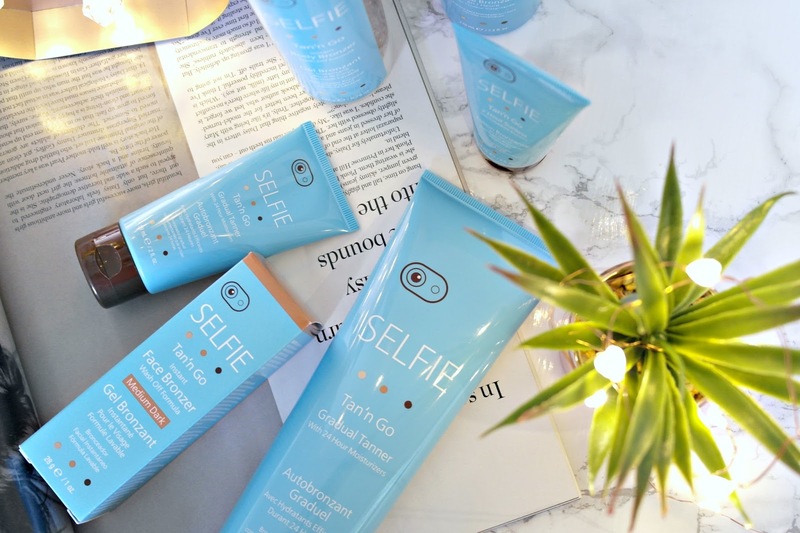 Forever on the quest for a perfect tan I’m always on the look out for new products to try and recently I’ve been using the Selfie fake tan range. Every Selfie product is formulated with the perfect amount of instant and gradual self-tanners along with a fresh and clean fragrance that means you won’t be smelling of biscuits! The first thing I noticed about this gradual tanner was the size of the tube. It’s huge – a whole 266 ml! A lot of other gradual tanners are 200 ml – 250 ml, so for £12.99 for 266 ml it’s great value for money. I love using gradual tanners when I’m on holiday (as chlorine strips my initial spray tan), or if I’m in a rush and need a quick top up without the need for a full fake tan. 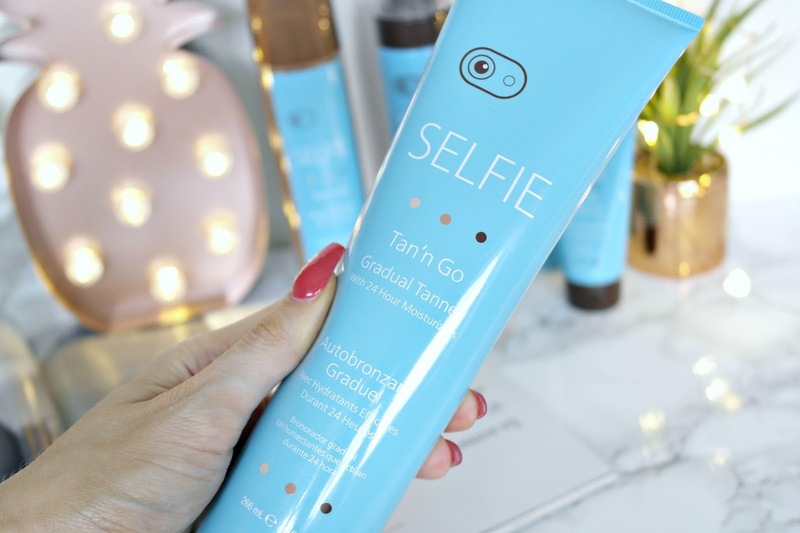 The Selfie Tan’n Go Gradual Tanner* gives you an instant hint of colour as well as developing to a longer lasting tan over 8 hours. It’s soft to touch, soaks in quickly and is moisturising to the skin. As the Selfie fake tan range has it’s own unique fresh scent you can happily apply this and then go out for the day without having to worry about that tell tell smell. One application gives a very subtle effect which I like as I always apply it on top of a preexisting tan anyway, so I don’t want anything too dark. If however you like to wear this on it’s own it’s totally buildable, so you can apply it daily until you reach the depth of colour you desire. The Selfie Tan’n Bronzing Mousse* is a 1 hour tan, meaning you can wash it off after an hour for a light glow or leave it on for 4 -5 hours for a deeper tan. Upon application it’s very dark and gives an instant colour. This helps you see where you are applying it so you don’t miss any spots. This is a must for me with fake tans as it’s so easy to miss a patch if you are using a product without any colour in it. Don’t worry though, once washed off it gives a beautiful natural tan. I wore this tan 2 weeks ago and my friend commented on how lovely my tan looked. This is very unusual as I wear fake tan all the time so my friends don’t bother saying anything usually. She said she liked it as it looked so natural and not at all orange. When my friends notice my tan it must be a good one! Although this product is described as a mousse it’s very liquidy. I would say its more of a liquid with a few bubbles in it, rather than a mousse. This wasn’t an issue for me as I always use a mitt to apply my tan anyway. Not only did the tan produce a lovely natural tan, it also lasted well and faded evenly. Selfie fake tan also do a fab travel kit which I took to New York with me. With the size of my luggage I need to reduce the weight in any which way possible and these were perfect! 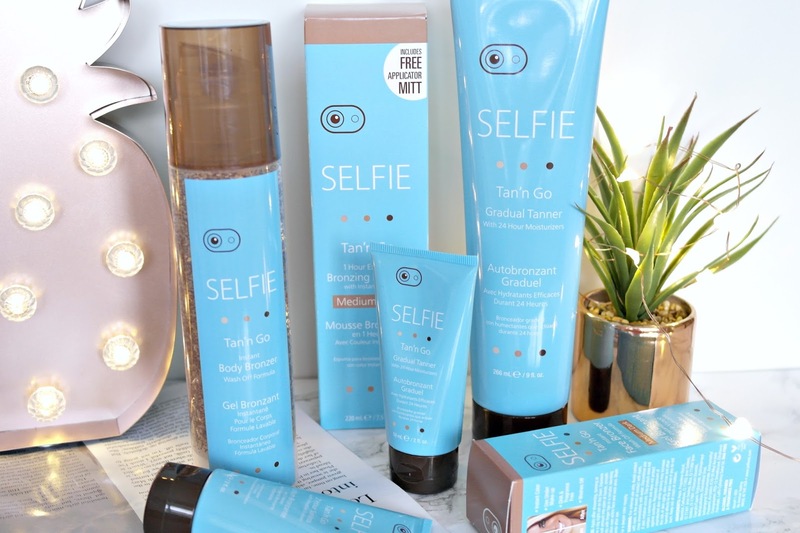 If you live in the UK Selfie tan range can be purchased from ASOS here. 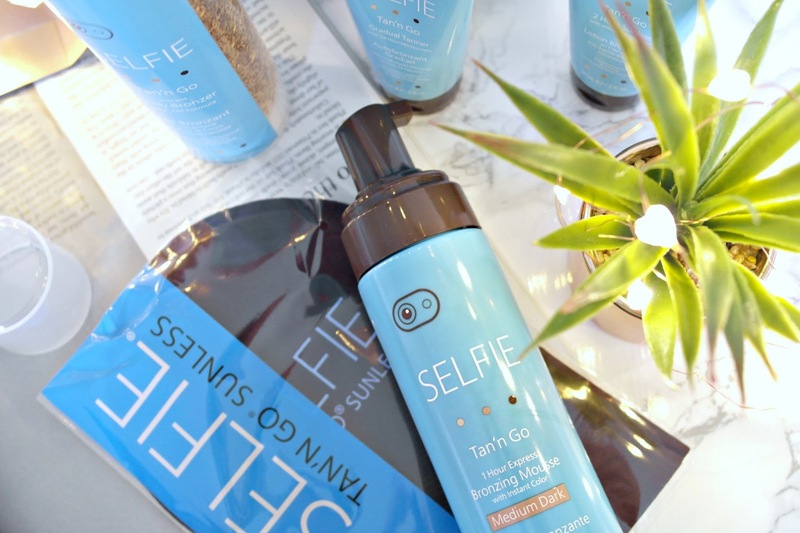 Have you tried any of the Selfie fake tan range? 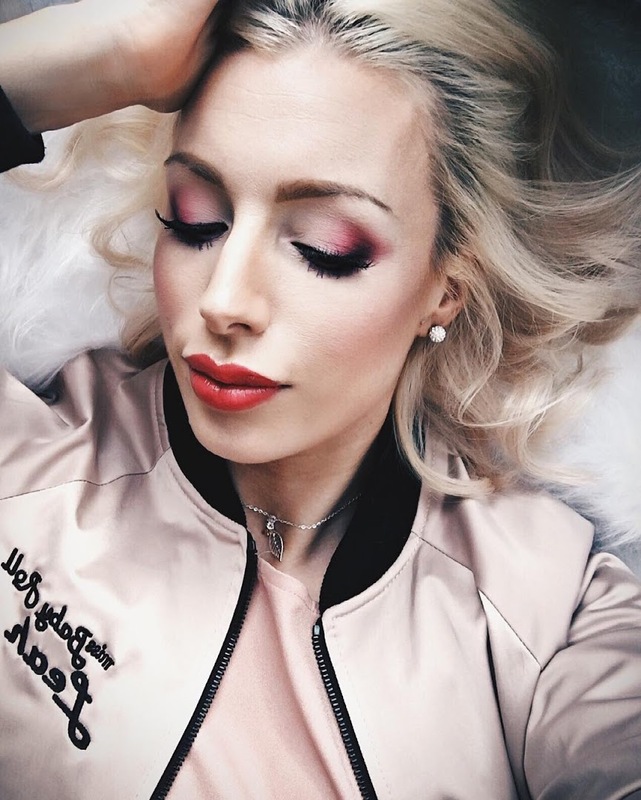 Keep up to date with my posts and follow me on Bloglovin. Items marked with * were gifted to me for review purposes. Please see my disclaimer here.